As part of DC's linewide reboot, I solicited some comments and reactions from some fans and asked some of them if I could put it up on The Comics Cube. I was going to put it all up in one article, but the passionate ones ended up meriting separate posts. This one comes from a fan named Grantus El Boro. I'm pretty sure that's not his real name, but he raises valid points. Here it is. Another nail in the coffin. R.I.P DC comics! Having just hit 40 recently I can safely say that I have been reading comics well over 30 years and collecting for at least 20 years. As a collector I gave up reading monthly comics around 12 years ago as I got sick and tired of endless crossovers and gimmicks. However, I still have been reading comics in this time but only in the form of collections like trade paperbacks and hardcovers. Collections are more preferable because by the time they are collected the reviews have been around for a while making it easier to make a purchase on something that may be a decent read, taking out the risk of buying a new monthly site unseen and collections are so much cheaper than floppies especially with online shopping. 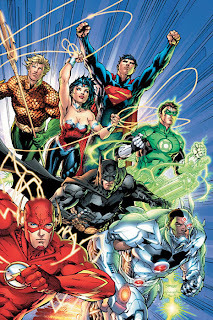 DC's recent news on the reboot of their entire line in my opinion is a another spark in an already burning fire that will lead to the overall burnout of monthly comics. The idea of a reboot isn't necessarily a bad idea if handled correctly especially given that DC are expanding their online presence. If done right, It would be the ideal time to reintroduce concepts to old fans and introduce new fans. The right way of a reboot would be to cut back on titles, limit monthlies to just the flagship titles like Batman, Superman, Wonder Woman, Green lantern, Justice league etc and then slowly expand the universe. The wrong way to do a reboot would be to inflate the market with more titles than anyone can afford especially given the state of the current economy comics or otherwise and at $3-$4 this is just going to fail. And how the hell does DC expect to attract new readers or even retain old readers with such an overload of titles? I have been predicting the end of comics as we know it for a while now but this is just another nail in the coffin that I predict will be buried by the end of this current decade.